Some might say this story is another way of saying “Turn lemons into lemonade.” I’ve been known to use truisms, but I’m not a fan of this one. From my point of view, it trivializes something that is much more profound and far-reaching. I have a long-standing affinity with the wisdom of Eastern philosophies. And am glad to live in a time when Western thinkers such as Alan Watts, Frank Rivers, Deepak Chopra and Michael Singer have made Eastern concepts less inscrutable and more relatable. Here are three books I love. The Way of the Owl: Succeeding With Integrity in a Conflicted World Martial artist Frank Rivers shows readers how to successfully negotiate the daily strife in their business and personal lives. 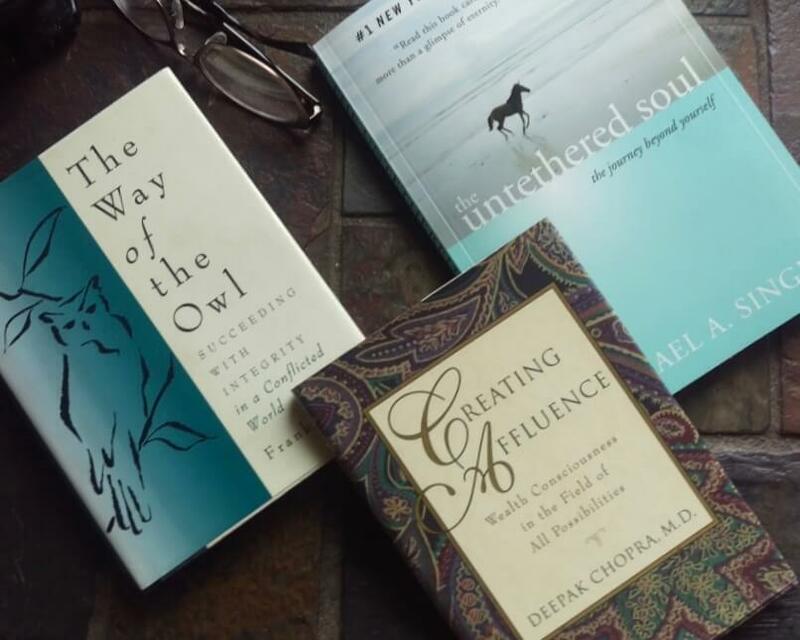 Using the owl’s bearing and conduct as a model for effectively handling conflict, he offers fresh and thoughtful strategies for confronting life’s most complex challenges with poise and integrity. Creating Affluence: Wealth Consciousness in the Field of All Possibilities Blending physics and philosophy, Deepak Chopra explores the meaning of wealth consciousness. With clear and simple wisdom, he presents steps for creating affluence and fulfillment on all levels of our lives. The Untethered Soul: the Journey Beyond Yourself What would it be like to free yourself from limitations and soar beyond your boundaries? What can you do each day to discover inner peace and serenity? Michael Singer offers simple yet profound answers to these questions. Does Eastern philosophy speak to you? What do you make of the story of the Chinese farmer? Have you had first-hand experience of something similar? This entry was posted in Fresh Perspectives, Mindset, Viewpoints & Thinking for Ourselves, All Posts—newest first and tagged deepak chopra, Alan Watts, Michael Singer, Frank Rivers, Eastern wisdom, Eastern philosophy, tale of the Chinese Farmer, Dr. Marlo Archer by Laurana Rayne. Bookmark the permalink.